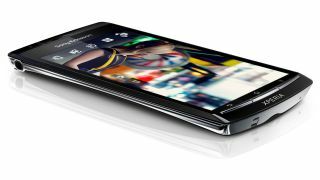 UK mobile network O2 has announced that it will not be pushing out the Ice Cream Sandwich update to customers who own a Sony Ericsson Xperia Arc, Xperia Ray or Xperia Neo. The news will come as a surprise to users who own these smartphones, as Sony has officially made the latest version of Android available for these handsets, and Google has to approve the update before it gets released. O2 states the reason for its decision not to push the upgrade to the three handsets is due to negative implications Android 4.0 had on the handset's speed and performance. In a news article on its site, O2 said: "Unfortunately with the Xperia ray, arc and neo our testing found that the software update affected the phone's speed and performance. "Because the software affects the phone's performance in this way and because you can't revert back to an earlier version of Android without having your phone completely restored, we have decided not to approve the update (for the Arc, Ray and Neo)." This means if you purchased your Arc, Ray or Neo via O2, then you'll be stuck with Android 2.3 Gingerbread – which O2 notes is a "very stable platform" - until you decide to ditch the handset for something different. TechRadar contacted Sony about O2's decision, and a spokesperson for the firm said: "In general we have had positive feedback from consumers who have upgraded their 2011 Xperia smartphone to Android 4.0. "Android 4.0 is a more powerful OS, with new features and functionality, but it also requires more memory resource from the smartphone and this may impact performance in some user scenarios on 2011 Xperia smartphones. "Our approach when we released this software earlier this year was to clearly inform consumers about the impact it would have on their smartphones so they could take a conscious and informed decision to ensure it was suitable and performing for the individual needs of the consumer." So Sony admits that is some cases performance may be affected, but we wonder whether O2 has taken it a step to far by completely blocking the upgrade. Perhaps consumers should be given the choice whether or not to upgrade their devices, as long as Sony/O2 provide them with all the necessary information before hand in regards to potential issues.